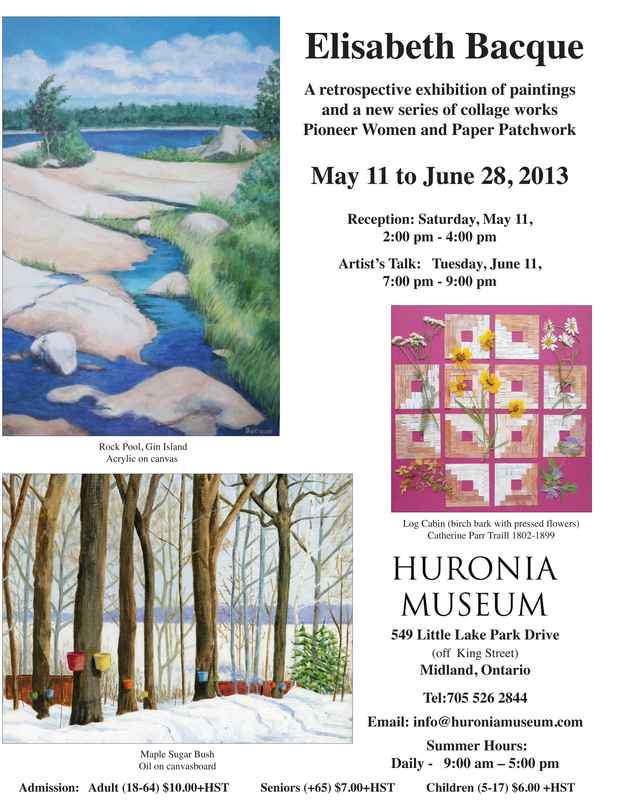 Huronia Museum is pleased to host Elisabeth Bacque’s newest art exhibit from May 11 to June 28, 2013. A reception will be held on May 11, 2013 from 2:00 pm to 4:00 pm. Additionally, Elisabeth Bacque herself will be available for an artist’s talk on Tuesday, June 11, 2013 from 7:00 pm to 9:00 pm.